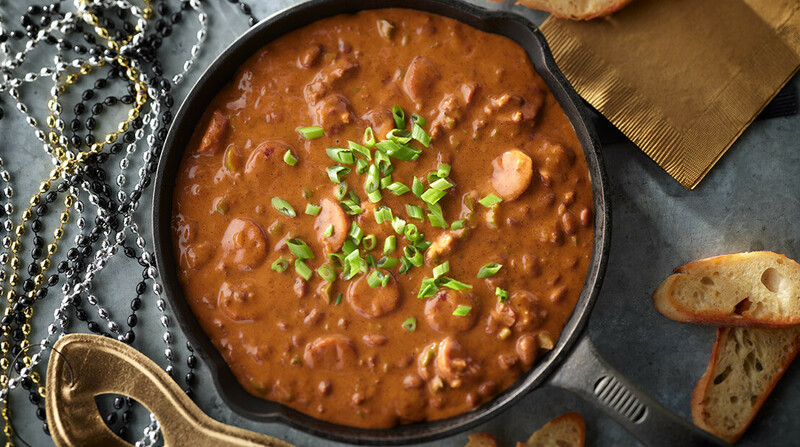 Big game Sunday means big flavors and the makers of Hormel® chili know a thing about big, bold flavors. 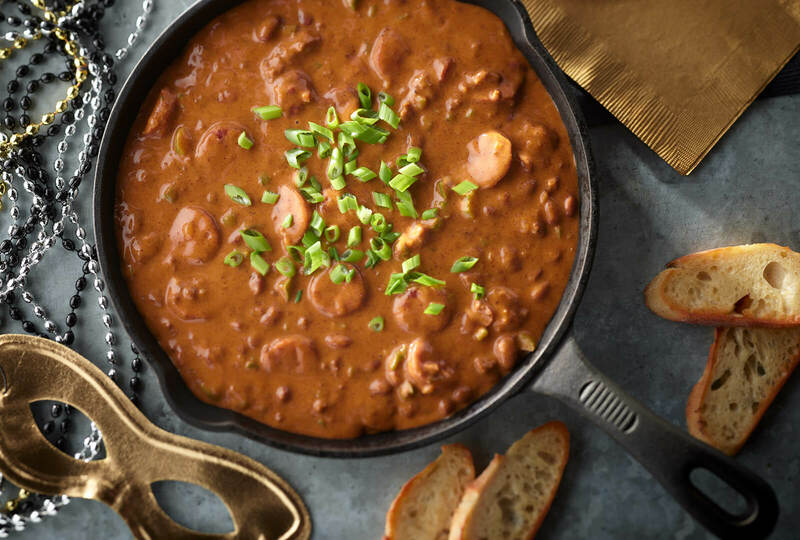 This year, the Hormel® chili brand partnered with “Chopped” Champion Chef Kenneth Temple to create one-of-a-kind chili cheese dips inspired by participants of the biggest event in football. In medium saucepan over medium heat, cook onion in oil 1 to 2 minutes or until onion is translucent. Add baked beans, chili, brown sugar, pepper, dry mustard and salt. Bring to a boil, stirring occasionally. Remove from heat. Stir in cheese until melted. 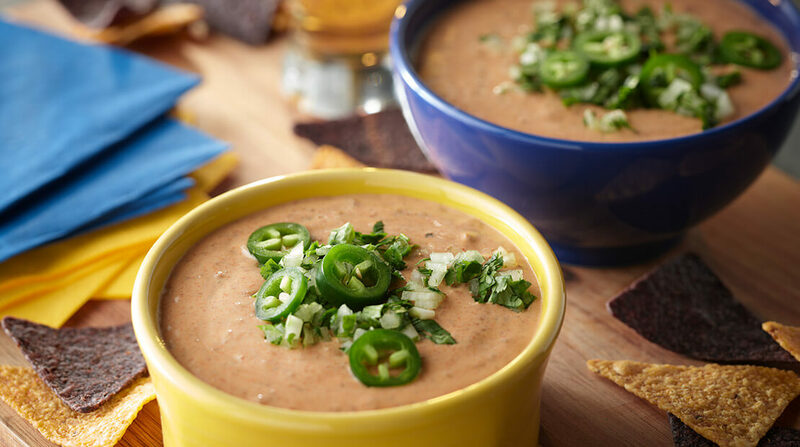 In addition to the New England- and Los Angeles- themed recipes, Chef Kenneth also developed a chili cheese dip infused with a soulful twist, inspired by his hometown of New Orleans. 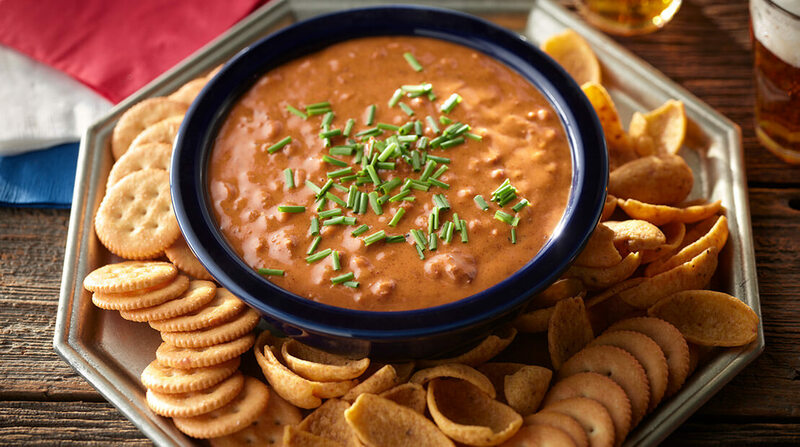 To round out his chili dip creations, Chef Kenneth crafted a barbeque chili cheese dip that even Kansas City’s finest grill masters could get behind. Garnish with remaining burnt ends, barbeque sauce and green onions. Chef’s note: Use your favorite burnt ends and barbeque sauce. 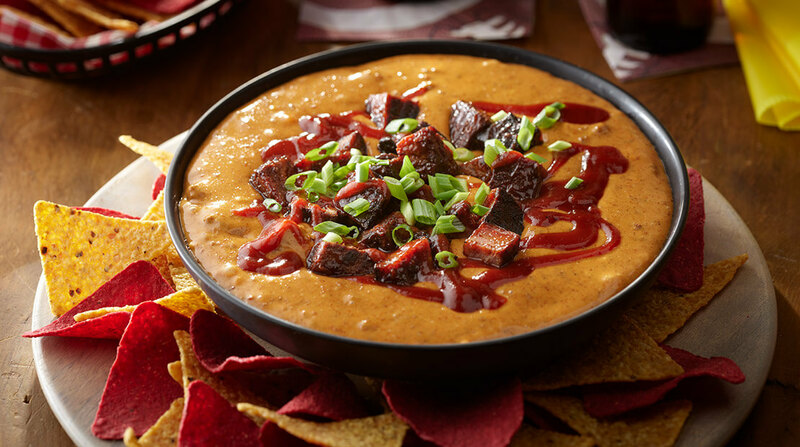 For more game day favorites from the Hormel® chili brand, visit www.hormel.com/Brands/HormelChili.